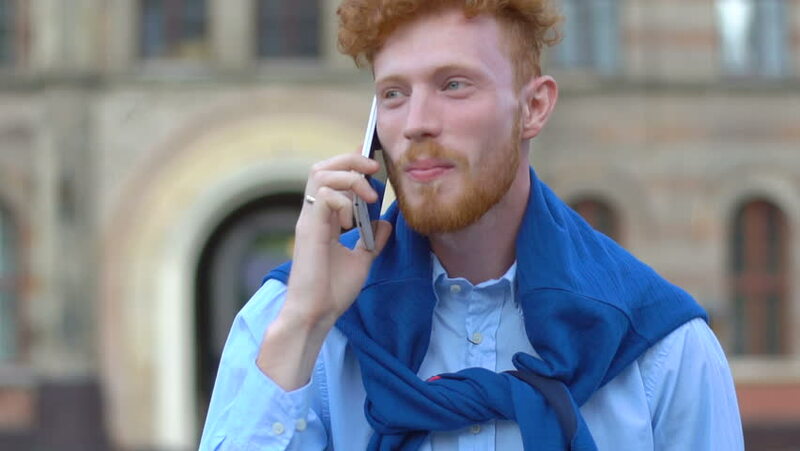 Handsome man with ginger curly hair and beard is happily talking via the mobile phone while walking along the street. hd00:11Sincerly Smiling Young Man Standing by the Modern Building. Chatting on the Mobile Phone. Using it. Holding a Paper Cup with Coffee. Casually Dressed. Pleasant Mood. Big City. Glass Building.